Worms Eat My Garbage: How to Set Up and Maintain a Worm Composting System is a classic book about home composting written more than 35 years ago and now in its third edition. For this new edition, author Joanne Olszewski remains true to the style of the original author Mary Appelhof, but adds new scientific data and contemporary research about vermicomposting—or composting with worms. 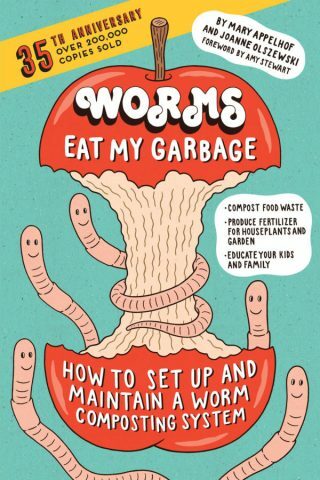 Worms Eat My Garbage is an informative book that includes the most practical, accessible information about how to set up and care for a home worm bin. At just under 200 pages and written in the first person, it’s a friendly yet powerful reference resource for those who are thinking about starting a worm bin, trying to figure out how best to care for an existing bin, or just want to learn more about the practice of vermicomposting. Because the book is written in simple language and contains many helpful diagrams it is accessible to children and adults, and would also be very valuable for teachers. A classic for a reason, Worms Eat My Garbage is still an excellent resource even in its fourth decade in print. 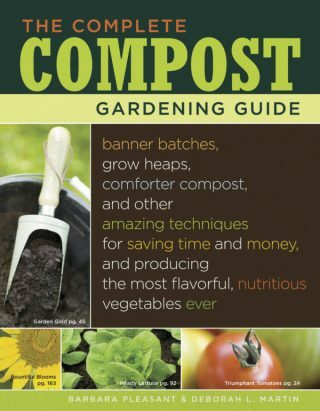 For a detailed reference that clearly and thoughtfully explains several different popular home compost methods, check out The Complete Compost Gardening Guide. Finally, if you are planning your home compost project and you have questions of any kind, do not hesitate to contact the NYC Compost Project funded by the Department of Sanitation (DSNY) and hosted in the Bronx at The New York Botanical Garden! Contact details can be found here.